"A couple of years ago, my husband, son and I were in a terrible motorcycle accident. As a result, my husband’s injuries were serious enough to the point that he found himself confined to a bed. And of course, as with any severe accident resulting in injuries, we were in need of suitable representation. " Motorcycles are a big part of life in Tampa, Florida, but motorcycle riders are more likely to get seriously injured or die in an accident than those encompassed by a car’s metal cage. If you’ve been injured or a loved one has died in a bike accident due to someone else’s negligence, then you may be able to recover compensation for medical expenses, lost time from work, and in the case of a loved one’s death, funeral expenses and loss of companionship. Our experienced team of attorneys at Swope, Rodante P.A. 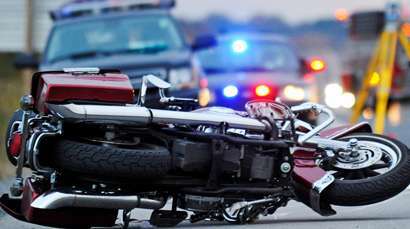 have developed a strong reputation over the years of helping clients who have suffered catastrophic injuries or a loved one’s wrongful death, which makes well-equipped to help injured motorcyclists who have been hurt in a motorcycle accident. If you would like to speak with us about your case, please contact us today. National statistics show that per mile traveled in 2006, a motorcyclist was 37 times more likely to die in a crash than someone riding in a passenger car. Statewide, statistics show that in 2011, licensed motorcyclists accounted for only about 7 percent of Florida’s motoring public. Yet in 2010, motorcyclists and their passengers represented 14.3 percent of all fatalities on Florida’s roadways. Contributing factors to wrecks included failure of motorists to look out for motorcyclists as they pull out, change lanes or enter the highway. Though you may be in shock, it’s critical to seek medical attention as soon as possible to increase the likelihood of the best prognosis even if injuries don’t seem immediately obvious since some injuries such as closed-head trauma may take hours or even days to become fully apparent. If you have been injured in a motorcycle accident due to the carelessness of another driver, it is important to take photographs of all the vehicles involved, have your motorcycle stored for expert examination, and preserve all the gear worn at the time of the accident. A skilled legal firm such as Swope, Rodante P.A. may be able to help you gather evidence, investigate the accident scene and file a personal injury claim. In 2011, helmet use in Florida was observed at 49.3 percent. • Since the repeal of the helmet law in 2000, the number of fatal crashes for every 10,000 registered motorcycles increased by 21 percent, suggesting motorcyclists without helmets are more likely to suffer serious and fatal injuries. • 37 percent of motorcyclists were not wearing a safety helmet before a fatal crash during 2010. • 29 percent of motorcyclist fatalities were related to traumatic brain injuries between 2007 and 2010.